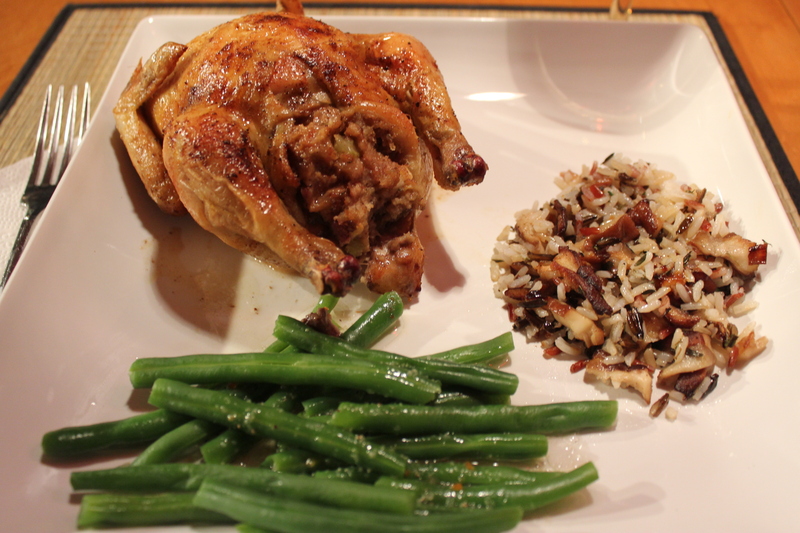 Last week I shared my recipe for Cornish Game Hens Stuffed with Wild Rice and Mushrooms. 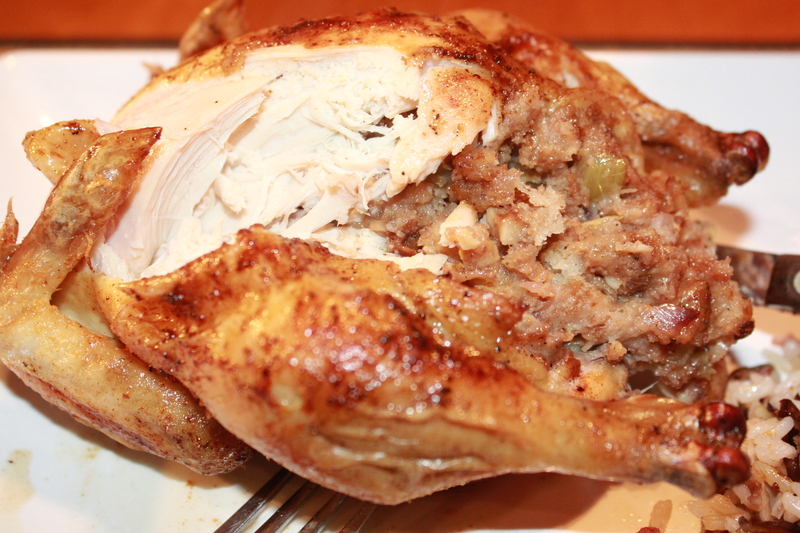 As promised, here is the second part of the post, where I use an apple, walnut and cornbread stuffing for the hens – true comfort food! It’s like having a mini-Thanksgiving meal whenever you want. 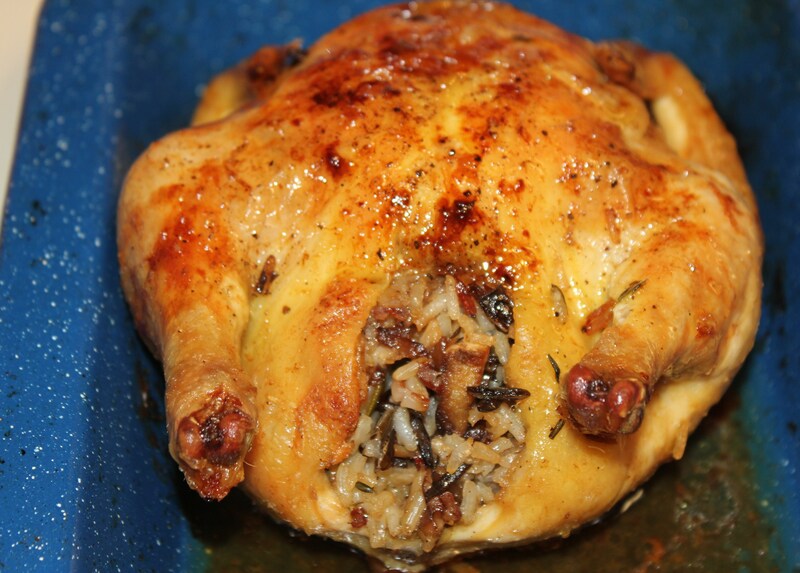 This recipe is for four Cornish hens, so if you are only making two just cut the ingredients in half. 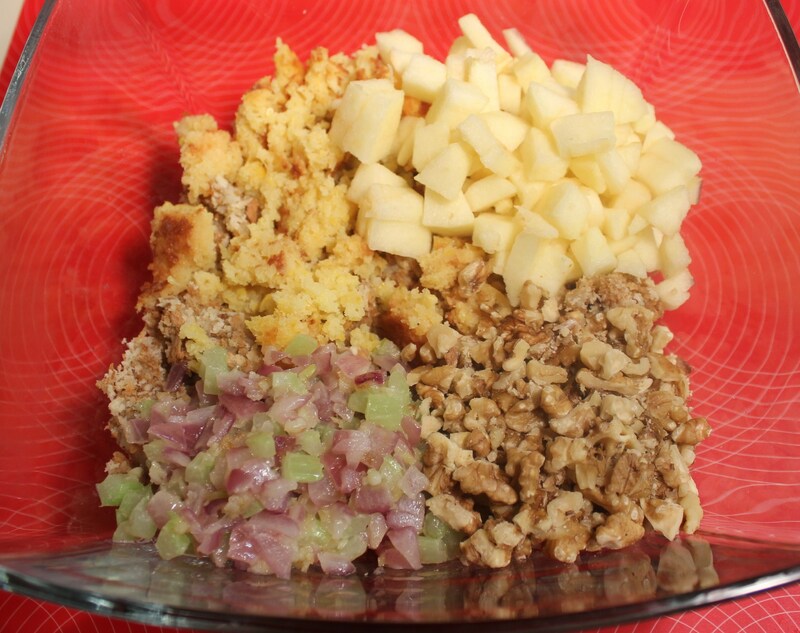 Or, if you are like me and love stuffing as a side dish, make extra – this “stuff” is so good with the crisp apples, crunchy walnuts and sweet cornbread. Prepare stuffing according to the directions on the package. Transfer to a large bowl. In a medium skillet, melt 1 tablespoon of the butter, and sauté the onion and celery for 4-5 minutes. Add to the stuffing mix, along with the apple, walnut and cornbread. Mix well. Season the stuffing with the thyme, salt and pepper. Sprinkle the paprika, salt and pepper on the hen, inside and out. 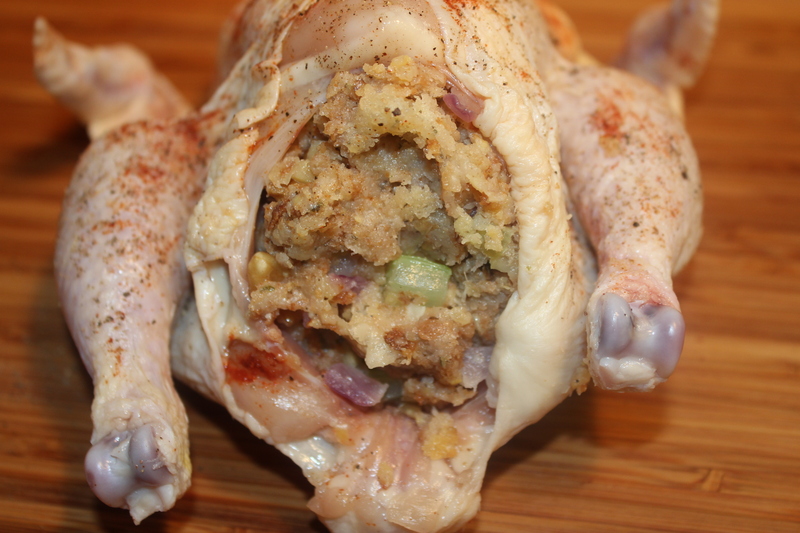 Fill each hen with the stuffing. Place the hens in a large roasting pan. 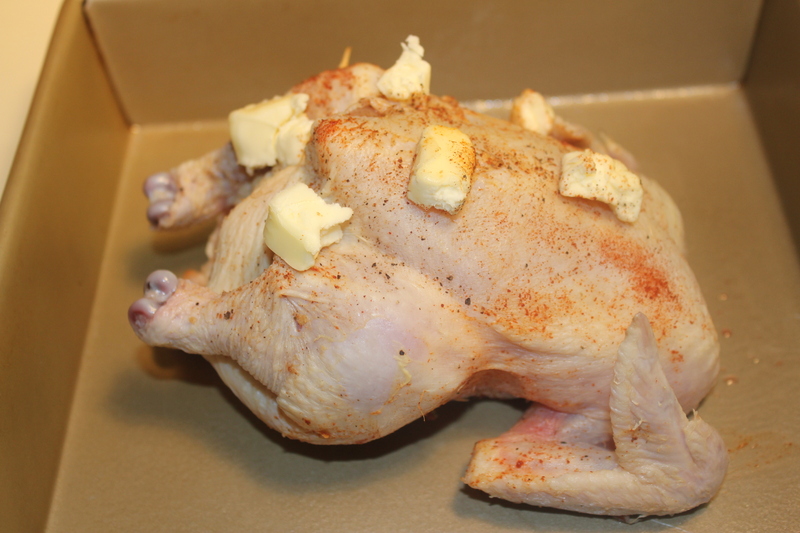 Cut the rest of the butter into small slices and dot them on the bird. Add the white wine and chicken broth to the pan. 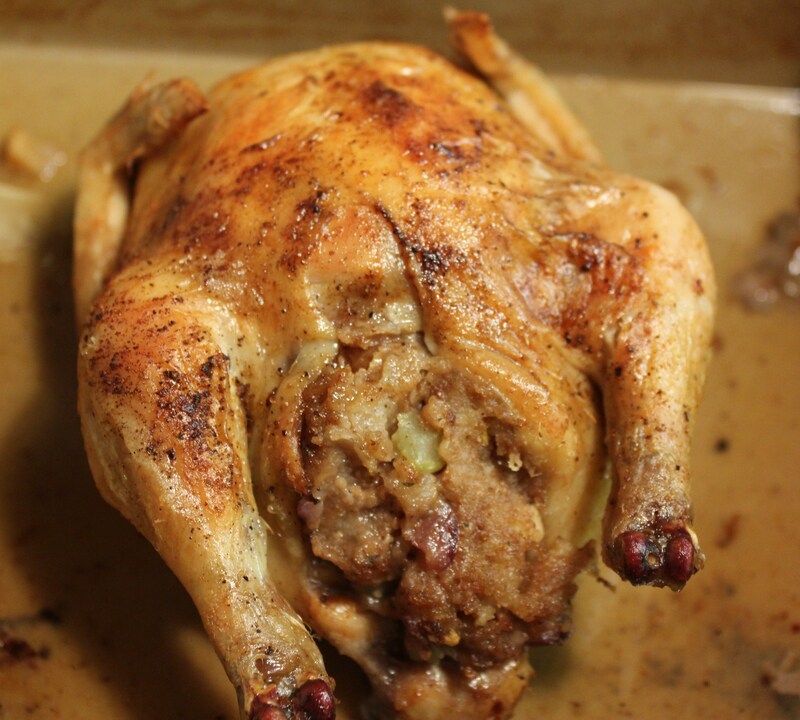 Bake 40 minutes or so, until the internal temperature reaches 165 degrees F. Baste several times as the hens cook. Let the hens sit for 5-10 minutes before slicing. 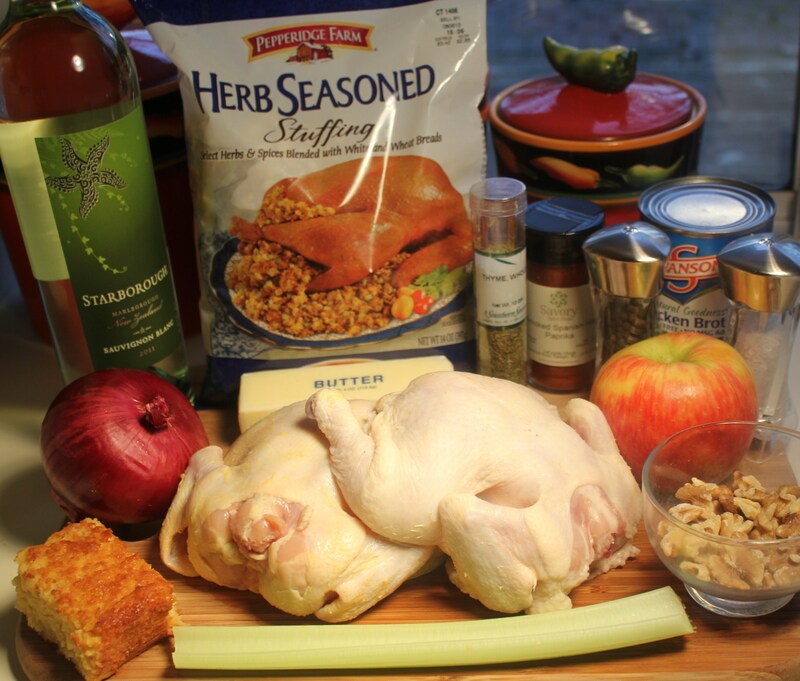 This entry was posted in Meat and Poultry, Recipes and tagged Apple walnut and cornbread stuffing, Cornish game hen recipes, Cornish hens stuffed apple walnut cornbread, Cornish rock game hen apple walnut cornbread, Cornish rock hens recipes, eat drink and be merry, kel's cafe of all things food, Kelley Chisholm recipes on February 21, 2013 by kelleychisholm.